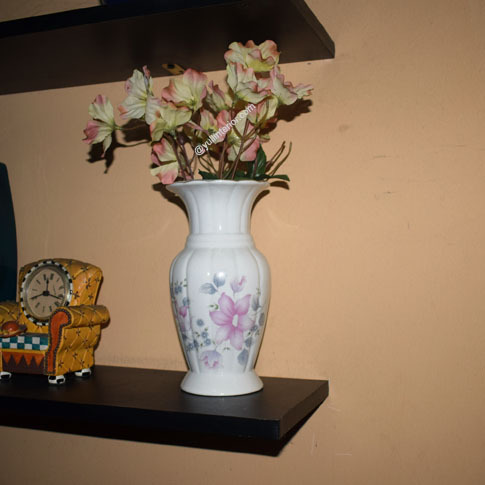 Unique and beautiful white ceramic vase that is perfect as an home accent piece or as a flower vase. Suitable for all living space. Dimension: Diameter-6", Length-10", Base-8" approx.